There’s a popular saying in the world of sports - It’s hard to beat the same team twice in one season, especially when it’s a good team. The Lindenwood University Lions hoped to prove that saying to be a simple sports cliché entering Saturday night’s Division I Championship Game against the Farmingdale State College Rams; the Lions had defeated the Rams earlier in the season in a 2-1 thriller in January. Farmingdale, on the other hand, looked to duplicate their Nationals fortunes from last season. Just a year ago, these two teams faced off in Fort Myers, Florida with the same stakes on the line, but this time around the roles had changed. Farmingdale was no longer the underdog looking for their first title -- the defending National Champions returned nearly their entire 2016-17 roster, including 2017 Most Valuable Player PJ DiMartino, Most Valuable Goaltender Dustin Muccio-Schrimpe, plus a few new faces: enter Tyler Kraft, former ECRHA Player of the Year, and “The Freshmen,” a group of four talented newcomers which included Bryan Conklin and Max Halvorsen, as well as Jake Corso and Joey DiMartino (AKA the little brothers of Luc Corso and PJ DiMartino). Lindenwood, this time around, looked to return to their former glory - the Lions last National Championship victory had been in 2014, and a group of seniors were shooting for their first title. The Lions also had returned much of their core from the year prior; alongside their defensive core of Jalen Krogman, Cody Page and Adam Swims, new faces like Nick Dellamorte, Jake Escarcega, Nickolas Schnelle, Michael Schrader, Austin Steger, and standout goaltender Jacob Robinson looked to make the difference this time around and knock off the defending National Champions for the second time this season. Throughout the week in Fargo, the Lions took down Neumann, Michigan State, and Arizona State to go 3-0-0 in Pool A to secure the top seed on the left side of the bracket. They would proceed to eliminate Mizzou (5-2), UC Santa Barbara (5-1), and lastly in the Final Four, Bethel, by a score of 5-2, to take their place in the Division I National Championship Game. On the other side, Farmingdale captured the top seed after beating Bethel, West Chester and Grand Valley State to go 3-0-0 in Pool B, giving up only one goal in the process. The Rams continued to roll through the elimination bracket, taking down Cortland (11-0), Neumann (11-0), and Grand Valley State again, this time 9-2, after a winded Lakers team had defeated Arizona State in the longest game in NCRHA history, a 5 OT thriller, the previous night. Nevertheless, the Rams dominated their competition en route to the National Championship matchup vs. Lindenwood. 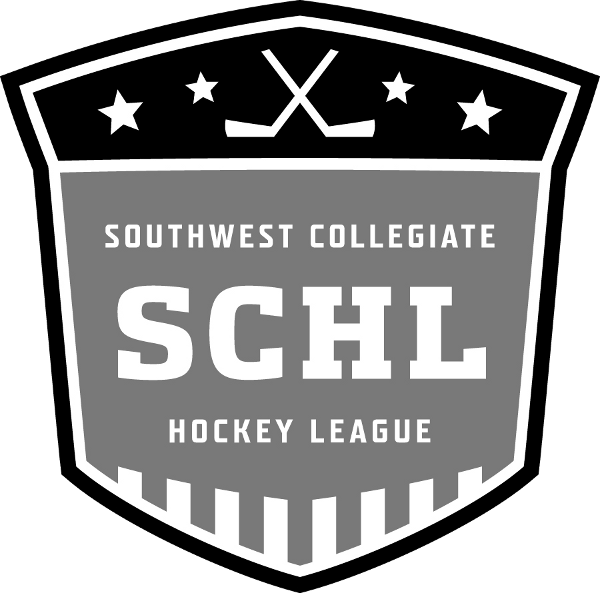 With the matchup set and the Division I National Championship Game minutes away, the Southwest Arena filled up to the brim, with players from other teams, friends, family and fans from both near and far packing the stands. The atmosphere was electric. Here’s how it all went down. The first period saw both teams trying to feel each other out at the start, but after a few minutes of chances, it was the Rams who would ring the bell first: Senior Tim Janke started the scoring, firing a low wrist shot past Lindenwood goaltender Jacob Robinson after receiving a Matthew O’Shaughnessy pass from the corner. As the period proceeded, Farmingdale continued to have the upper hand - after Lindenwood’s Adam Swims took a roughing penalty, a power play goal from Max Halvorsen put the Rams up 2-0, a score that held up as the first period came to a close. The second period commenced with an early Rams possession, which led to a great read and react play by Max Halvorsen - the Freshman wheeled around two Lindenwood defensemen and a sliding PJ DiMartino, driving wide and creating space before finding DiMartino open in the slot, who made a nifty move to sneak it behind Robinson, who made a great effort on the play, as the puck just crossed over the goal line to give Farmingdale a 3-0 lead. After the 3rd goal, the commanding style of play that the Rams entered the game with, controlling both the pace and puck possession while outshooting the Lions 10-2 in the first period, was something that continued throughout much of the second frame. This led to a frustrated Lindenwood team finding themselves in the box. After a tripping penalty on Jalen Krogman, Farmingdale quickly capitalized, with PJ DiMartino ripping a wrist shot over the blocker of Jacob Robinson just 12 seconds later to give the Rams a 4-0 lead. Lindenwood Head Coach Ron Beilstein called a timeout in an attempt to rally his troops, and shortly after DiMartino was in the box and the Lions were on the power play. As Lindenwood moved the puck around on the power play, Nickolas Schnelle looked towards the net and saw Cody Page with his blade down on the backdoor. Schnelle threaded a beautiful pass through the Rams active sticks, hitting Page on the backdoor. Lindenwood was on the board, and very much still in the game. The Lions took charge over the next few minutes but could not capitalize - another Lindenwood penalty flipped momentum back to the Rams, but the Lions were able to kill the penalty that followed. The second period ended with Farmingdale leading 4-1. The third period reflected the style of play witnessed throughout much of the first two frames, with Farmingdale controlling the puck and watching the time wind down. As the frustration boiled over for Lindenwood, the Rams went back on the power play with 4:46 remaining in the third period. 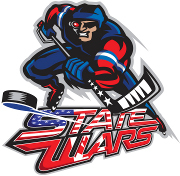 On the ensuing power play, Matthew O’Shaughnessy rushed up the floor and made a spinning backhand pass to PJ DiMartino, who capitalized, recording his hat trick goal and effectively sealing the deal for the Rams, who led 5-1. 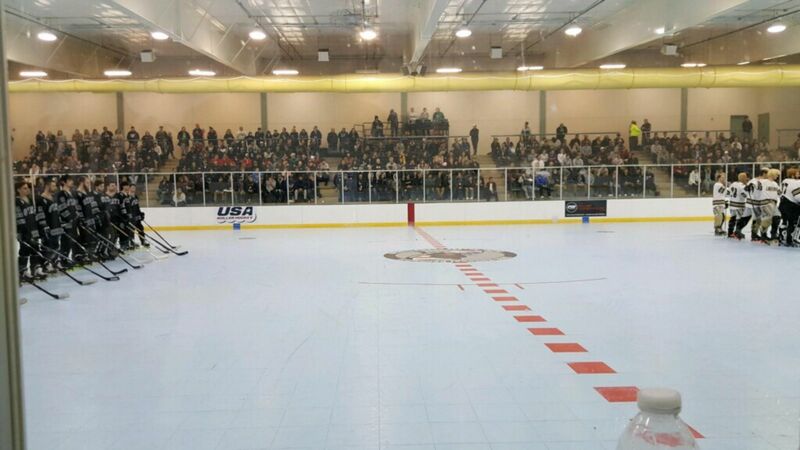 After a few final minutes of chippy hockey, the clock ran down to zero and the buzzer went off. 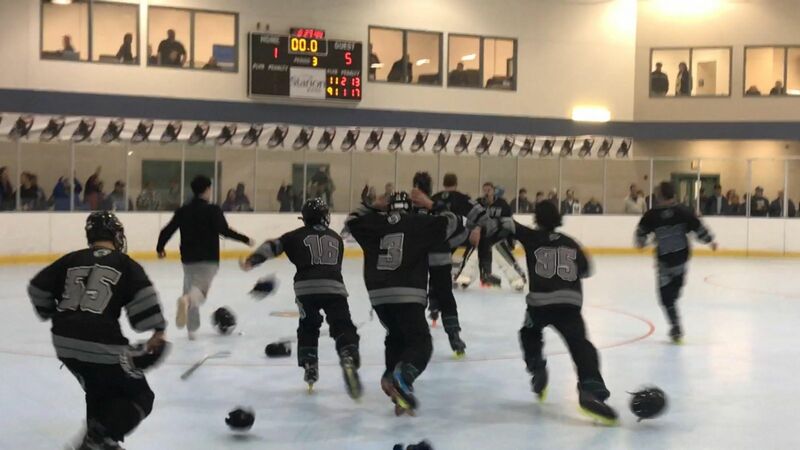 The Farmingdale State College Rams had done it again - they were the NCRHA Division I National Champions. Coaches Jim Tamburino and Matt Ketcham embraced on the bench, savoring the moment. For guys like Dustin Muccio-Schrimpe, Matthew O’Shaugnessy, Tim Janke, and Chris Russolello, who had been on the DII National Championship team who won in 2015, the win carried even more weight. The Rams win secured the fourth-straight National Championship for the ECRHA; the win meant another milestone for Senior PJ DiMartino, who became one of the only players in league history to win four straight Division I National Championships, two each with Neumann and Farmingdale State, respectively. 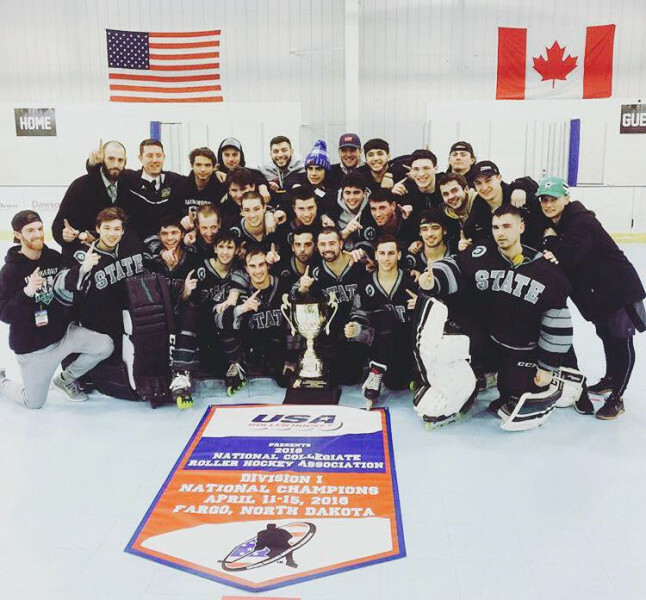 With their second straight Division I National Championship, Farmingdale State College secured their place in Collegiate Roller Hockey history, as one of only four Division I programs to become a repeat champion in the history of the National Collegiate Roller Hockey Championships.